Internet Faxing to China Software Suite software is designed for those who have a large numbers of faxes to send to multiple recipients quite often. Toolbar for IE - Internet software design and services. Qweas is providing links to Internet Faxing to China Software Suite 2009 as a courtesy, and makes no representations regarding Internet Faxing to China Software Suite or any other applications or any information related thereto. Any questions, complaints or claims regarding this application Internet Faxing to China Software Suite 2009 must be directed to the appropriate software vendor. 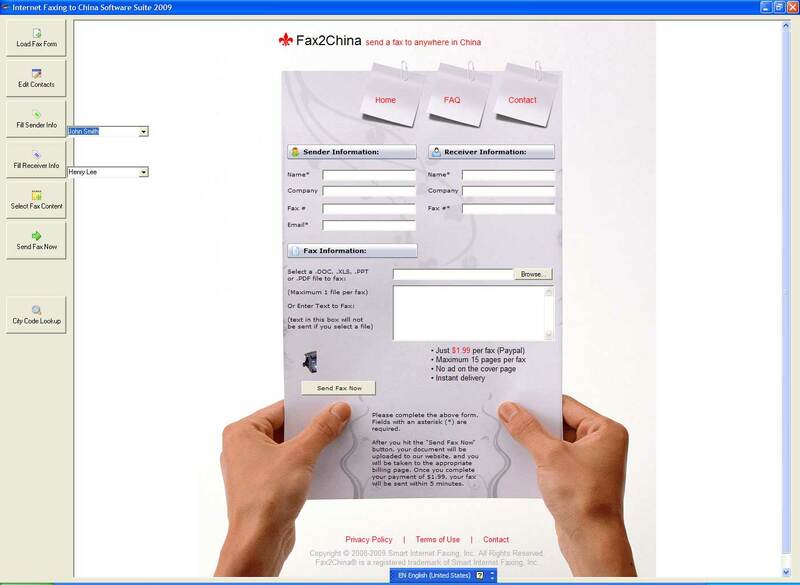 You may click the publisher link of Internet Faxing to China Software Suite on the top of this page to get more details about the vendor.